Casual visitors are not allowed inside the airport, largely because of security fears. Soon after it opened, many families could be seen standing outside the glass walls peering inside. 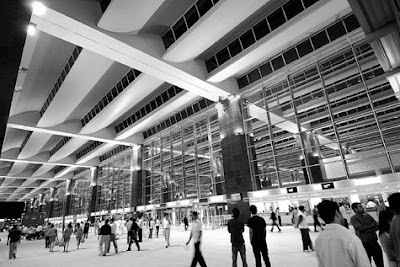 But even though the airport boasts of world-class facilities the passengers are not happy. Many complain because it is tricky to get to the airport; travelling from the city to Devanahalli on the outskirts of Bangalore will take at least 45 minutes and could take a couple of hours, depending on where in the city you are driving from.